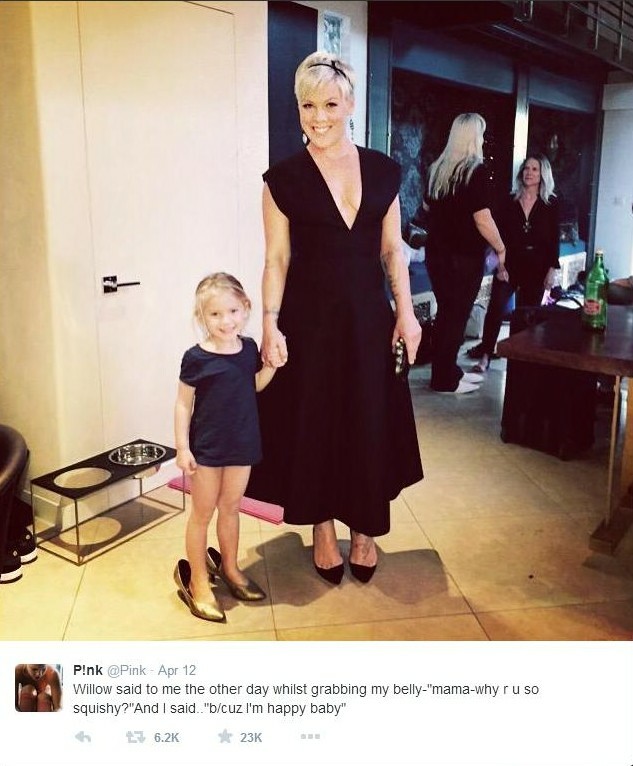 Pink received negative comments on Twitter about her weight after appearing on the red carpet at the John Wayne 30th Annual Odyssey Ball on Saturday in Los Angeles. Flaunting her fuller figure in a tight black dress, some tweeters claimed she had gained weight. But Pink wasn't done making her point. After dispatching the statement about her figure, she began posting photos of her posing next to her family captioned with their thoughts about her body. Fans went wild over the singer's message. Some were so inspired they began tweeting photos of themselves and their "squishy" bodies.